Modern telescopes and satellites have helped us measure the blazing hot temperatures of the sun from afar. Mostly the temperatures follow a clear pattern: The sun produces energy by fusing hydrogen in its core, so the layers surrounding the core generally get cooler as you move outwards—with one exception. 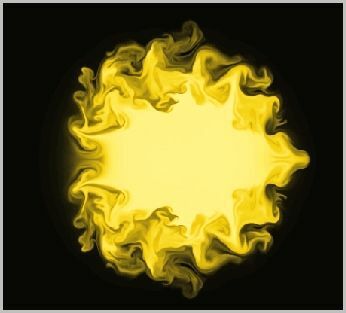 In a pair of papers in The Astrophysical Journal, published on August 10, 2015, researchers—led by Joten Okamoto of Nagoya University in Japan and Patrick Antolin of the National Astronomical Observatory of Japan—observed a long-hypothesized mechanism for coronal heating, in which magnetic waves are converted into heat energy. Past papers have suggested that magnetic waves in the sun—Alfvénic waves – have enough energy to heat up the corona. The question has been how that energy is converted to heat. Resonant absorption is a complicated wave process in which repeated waves add energy to the solar material, a charged gas known as plasma, the same way that a perfectly-timed repeated push on a swing can make it go higher. Resonant absorption has signatures that can be seen in material moving side to side and front to back. Full Phys.org report here: IRIS and Hinode: A Stellar research team. Is that a penny we can hear dropping? That’s a phenomenal increase in heat due – in part at least – to resonant absorption. Up to 460 times the starting temperature. Coronal mass ejections are powerful things…’caused by release of magnetic energy at the Sun’. Oldbrew Kirchhoff’s law applies to “black bodies”. For a grey surface it has to be qualified, quote from Chemical Engineering Hand Book “in surroundings at its own temperature”. Eg a water surface can absorb visible light radiation from the sun but does not emit light (it does not have sufficient temperature) Also think of a near black piece of wrought iron. At 25C it appears near black because it does not reflect of emit light. Heat it to about 700C it will show some redness, heat to around 1000C it will appear orange to yellow and at around 1400C it will start to appear white ie emitting light. This mentions the velocity of sound in an atmosphere and the lapse rate. Maybe you could put up a post so some of the experts, particularly other engineers could comment. Maybe it could lead to new understanding. Energy waves and sound waves in an atmosphere have similarities. That’s a very interesting snippet. I suppose I ought to have an interest after so many years in audio and in aerodynamics / hydrodynamics. Not something where I’ve paid much attention although there are some fun uses, a lot is about time delay, whole raft of effects.